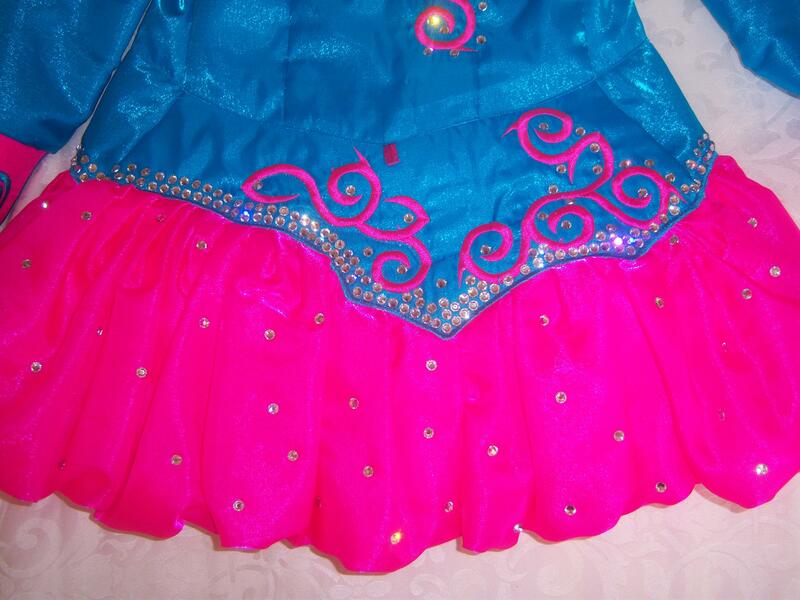 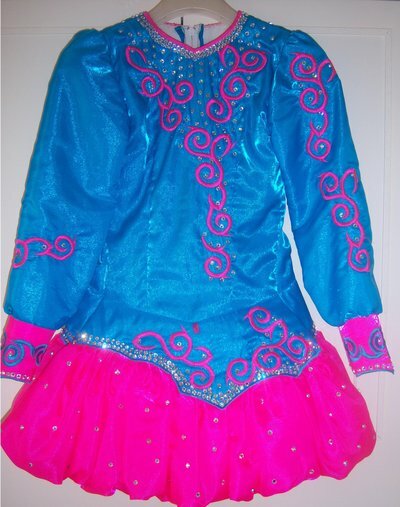 Stunning irish dancing costume . 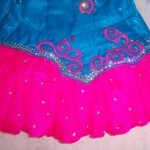 The dress’s main colours are blue and pink this dress has a great stage pressence and stands out very well. 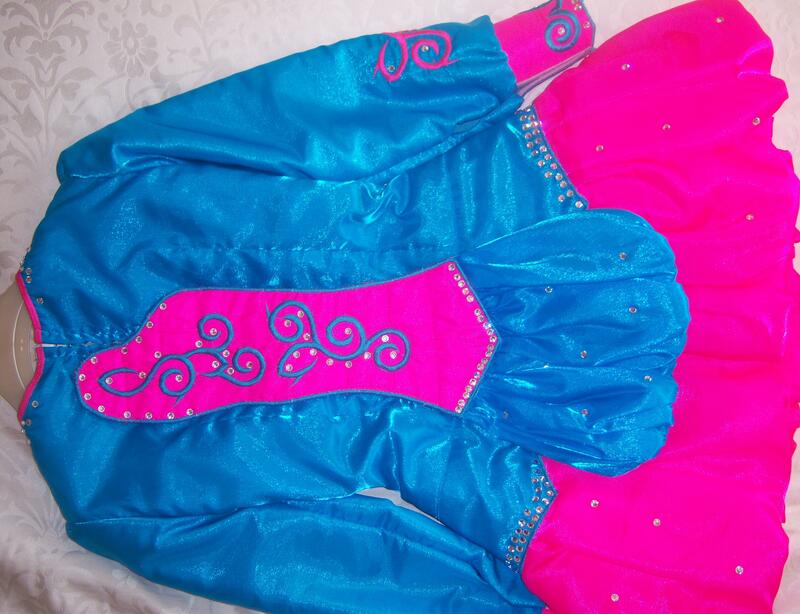 The dress is covered in hundreds of Swarovski crystal’s . 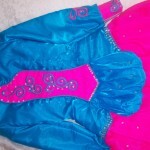 Head band and kick pants are inclued.